Campfire Audio, since there release in 2015 has established themselves as my outright favorite earphone brand. The Company's beryllium driver Lyra and 5 BA (Balanced Armature) Andromeda were just incredible pieces of portable audio equipment and constantly find themselves amongst my most recommended. The original lineup of Campfire Audio earphones stood at 5 and covered a wide range of price points but the price point was never really the thing with CA's IEM's. Each earphone in their lineup was designed to fit a specific purpose as opposed to satiating the restrictions imposed by cost. The Lyra were wonderfully musical, smooth, rich and engaging. The Jupiter were more clinical and more analytical than the others. The Andromeda somewhere in between. One never seemed to be competing for the others place and rather each IEM found its own place in their lineup. So when we got word that there were 3 new models on the horizon we were very excited indeed. Being such a small company that displays such a passion about the products they put out we knew they were going to sound good but where would these new models sit in relation to existing offerings. We have now spent the past few weeks testing with the Campfire Audio Vega for this review (as well as the Dorado and Lyra II, whose reviews will be up in the coming weeks) and its now time to put "pen to paper" and share our thoughts. What is the Campfire Audio Vega? The Campfire Audio Vega is the priciest of all the Campfire Audio Earphones. Coming in at $1299 in the US market it's certainly not cheap but it boasts some of the most advanced driver technology that CA has ever produced. I'm hesitant to call it the flagship though as Campfire are also not a company who clearly defines their product range through incremental price increases or by staggered product numbering (eg. 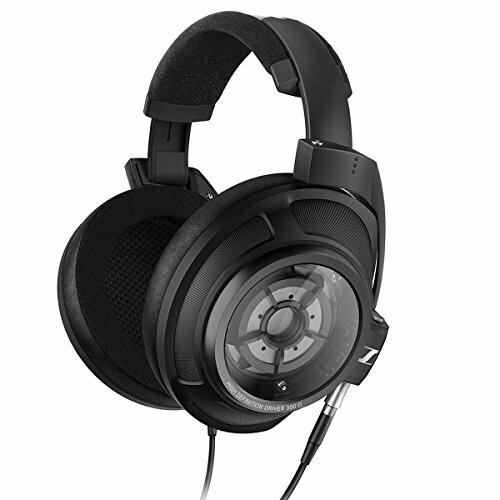 Shure SE215, SE315, SE425 or Sennheiser HD600, HD700, HD800). 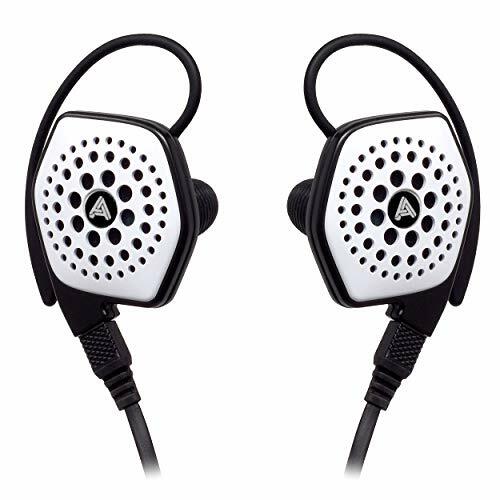 Instead, it's best to choose a Campfire Audio earphone by the way you listen to music as opposed to budget. Less might just be more! 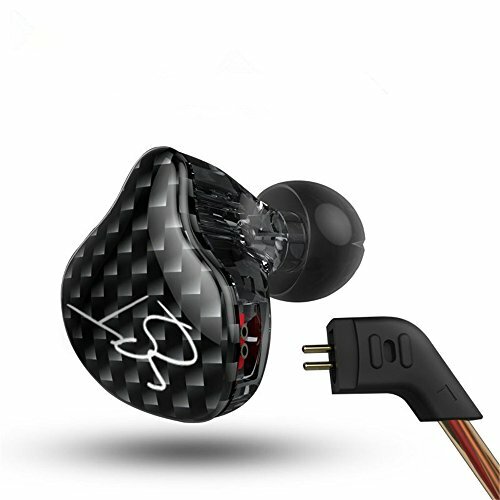 Many earphones over $1000 are now offering staggering amounts of drivers in each earpiece. The Noble K10 (Kaiser) even manage to cram 10 drivers into each side. Some even combine multiple balanced armatures and dynamic driver units to create popular hybrid models. Campfire hasn't done that, instead, they have gone with a single, solitary dynamic driver. It's not just any driver, the Campfire Audio Vega has inside, the world's first 8.5mm non-crystalline dynamic driver. The diaphragm is incredibly thin at just 9um and is coated with a non-crystalline diamond carbon coating. It was specifically developed in partnership with one of the world's leading driver manufacturers specifically for this model. That's not the only trick up the Vega's sleeve. All the new models (Vega, Dorado & Lyra II) come with a new liquid metal alloy housing. The housing of any earphone is an often overlooked part of the equation. In Dynamic drivers especially there can be issues with resonance and reverberation which can detract from the purity of the sound. Campfire Audio's solution was to develop a material which is even harder than titanium alloy. The benefits of this are many. The earphones are stronger than previous models, so in theory, the housing should also be stronger and greatly reduce any unwanted vibration and improve dampening. Campfire Audio haven't strayed from their excellent minimalist packaging and the box itself remains the same small recyclable starry-eyed style but with an updated color scheme. The earphones are protected inside by way of the included carry case so there shouldn't be any issues during shipping. The accessory set has been beefed up over the existing models which already was pretty comprehensive. Now the two extras that stand out are 2 small red velvet pouches, one for each earbud and some Spinfit tips. As usual, you get the array of regular silicone tips and comply foam ear tips in the box as well as a Campfire Audio pin badge. The case always a bit of excitement with Campfire Audio IEM's. So far each IEM has had its own dedicated material, the Andromeda with a lush fine grain chocolate leather and the Lyra with its distressed, almost suedesque brown leather finish. The Vega comes with a soft and luxurious black leather hard case with a larger grain that on previous models. It's a beautiful accessory and the perfect size for transporting your IEM's when not in use. At first glance, the Vega look a lot like any other set of Campfire Audio earphones. They have essentially the same housing style as we loved on the original 5 pairs but the use of liquid metal alloy has added a level of refinement that works well on many levels. Firstly, the bolts that we saw on the Andromeda and Jupiter are now gone giving a much less industrial feel to the aesthetic. Additionally, and I assume consequential to the new design process, the edges are far more rounded than the old CNC milled housings. I never had issues with the angular edges of the Jupiter or Andromeda but those with smaller ears than mine should now find any fears of discomfort far removed. Whilst all the Campfire Audio models look similar there are some quite large differences in size when you see them in person. For instance, the Lyra has a far smaller housing than the Andromeda earphones (a consequence of trying to fit so many drivers inside on earpiece) the Vega are more comparable with the Lyra in terms of size and they seem to just disappear inside your ear. I have absolutely nothing bad to say about the build quality on these earphones at all. They seem to be rock solid and capable of taking far more punishment than anyone would ever give such a high priced set of earbuds. The new PVD coating applied to the outside has held up well through over 3 weeks of testing and the Vega are looking as good as new. The pictures here were all taken after the review was concluded so feel free to have a look for yourself. No marks dings or scratches of any kind were observed. The cable, is of course, as excellent as you would expect from a company with such close ties to ALO Audio. The original cable that came with Campfire Audio earphones in 2015 left a lot to be desired. It tangled and held for way more than it should have but they quickly rectified this with the introduction of a new braided cable in 2016. With this new cable there is still some shape retention and they aren't as tangle resistant as my Labkable custom earphone cables but they still perform very well. Oh and its a very good looking cable too. Connection points are by way of MMCX adapters, but again Campfire Audio have bumped up the design and produced a custom beryllium copper unit that is harder wearing than the traditional brass MMCX. This, in theory, should extend the longevity of the IEM's life and as someone who is notoriously hard on his IEM's this is another good and well thought out addition. The have a solid click when connected and the swivel is butter smooth. The build quality and design of the Campfire Audio Vega is in our opinion brilliant. Nothing here is revolutionary... in a good way. Many companies feel the need to change their designs often to grab attention in an ever more competitive marketplace, Campfire Audio thankfully have taken the approach to refining what was already a very, very good design. Perfection, after all, isn't reached by completely redesigning the wheel but rather building upon good ideas. I, of course, prefer over the ear, monitor style earphones, so naturally, I am drawn to this sort of design. For me, fit and comfort are one of the most important parts of the equation when buying any set of headphones. There's no point in something sounding great if you aren't going to be comfortable when using it. These are one of the most comfortable earphones I have used to date and there are a few things that make me say this. Firstly, and as mentioned above, the housing is relatively small due to them utilizing a single 8.5mm dynamic driver unit. Secondly, they are lightweight. I had issues getting a good fit with my Shure SE846 due to the size and weight making them a bit more noticeable than they should be. The Vega though seem to disappear when set in place. Thirdly new rounded edges make them even more comfortable over extended use. It's a more subtle design more like the existing Lyra 1 than the Andromeda, Nova and Jupiter Models. Finally, something often overlooked is the barrel length. Some earphones tend to go to deep or sit to shallow but the Campfire Audio Vega, for me at least, sit right around my optimal insertion depth. There is enough length to ensure a good seal and grip my ear canal but not so much as to feel like I just jammed a Que tip down there. Surely, a single solitary driver can't compete in a market filled with 6, 8 or even 10 driver audiophile earphones right? It absolutely can, and after the first couple of tracks you hear on the Vega you will be converted to such a way of thinking. Those who don't regularly read here (you really should follow us on Facebook & Twitter) might be surprised to know that I stopped using the SE846 in place of the Lyra. That was down to a preference for the tuning of the latter more than technical prowess. The Lyra are also single 8.5mm dynamic driver earbuds so it just goes to show that the number of drivers isn't the be all end all of the highest end portable audio products. The Campfire Audio Vega on a whole is smooth and detailed, with lots of clarity and energy. It's a very fun sounding earphone that performs well with a wide variety of sources. It's the kind of presentation that I tend to drift towards nowadays as it seems to work well with any genre of music. 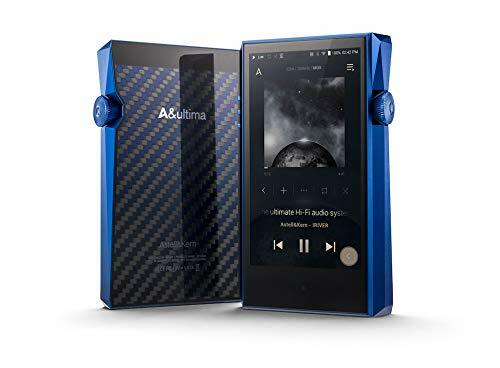 I tend to listen to a lot of Rock, Classical, and Electronic with the occasional spattering of Jazz and Pop, pretty much a bit of everything and these bring out a sense of fullness in all of it. No hot spots were detected at all but if you like more sparkle then use them with a silicone tip rather than the Comply. Personally, I prefer the smoothness of Comply but the differences are minor. The midrange is just outstanding and has little to fault on it. I'm a sucker for mids and on the Vega, they are lush and intimate with that slight nudge towards warmth to further engage you in your music. Vocals are well defined whether male or female they bring out the layers and nuances lesser IEM's tend to overlook. I didn't expect this at all coming into the review, maybe I expected more of a slant towards the Jupiter or Andromeda style bass but no the Vega can hit hard and they can hit deep. In many other earphones, there comes a trade-off point when the ability to reproduce sufficient sub-bass is traded off against either an ability to remain tight and composed or through some bleed into the lower midrange. That didn't happen here. The Vega instead hit the lowest of the lows when needed and retained lots of punch and speed when required. On Industrial, EBM, and Dubstep tracks, real rumble is something uncommon with in ear headphones but these seem to be up there with the best I have heard. However, for those who prefer a flatter response across the sound spectrum they may find the bass slightly overwhelming. For me though its a godsend. The Vega produce ample amounts of width and depth. Almost to the point of creating an out of the head experience more commonly associated with full-size headphones. This makes listening to live concert recordings and classical music a joy. There's no sense of being boxed in. Throughout this review, it was generally observed that the Vega play best with fairly neutral balanced sources. Whilst I wouldn't go pairing them with warm or dark players and DAP's they still sound good out of almost anything. I could quite happily use them straight out my iPhone 7 (via that dongle) and my Samsung Galaxy S7, something that I wouldn't dream of doing with some of my Multi-BA and Custom earphones. 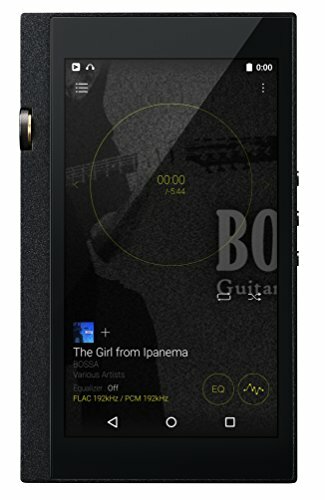 To get the most out of them I suggest something like the Opus #1, Pioneer XDP-100r or Onkyo DP-X1 (all used as part of the review) for on the go use. The Opus with its wide and open presentation for me was the standout match and allowed the Vega to receive sufficient power without adding its own flavor and at the same time further increasing the sound space. I also had a lot of fun using the Vega with sub $100 players like the Xduuo X2 and Colorfly C3. I would reckon that users spending north of $1000 on IEM's would be pairing with some of the higher end players listed above but it's good to know the Vega sound great from a variety of DAP's. Whilst the photos contained in this review all show the Vega being used with the included Spinfit tips I feel that they sound best when using Comply's. With either, they still sound excellent and sonically the differences are subtle, showing themselves mainly within the upper frequencies. By no means are the Spinfit, or for that matter the traditional silicone tips, sibilant but the Comply's round off the top end producing a slightly smoother sound. Also, and it may just be my mind playing tricks on me, but the soundstage seemed to open up just a touch more when using the softer tips. Of course, using comply foam ear tips can be a lot more fiddly than traditional style tips and the long term cost of replacing them will be an added future expense. 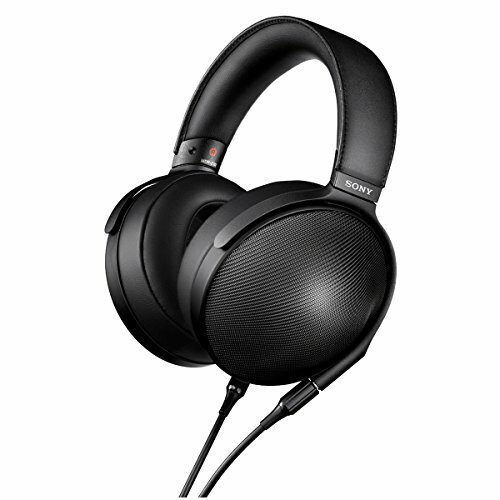 I let my Shure SE846 go some time ago but was able to get a loan of them again for the purposes of this review. The SE846 are one of the best universal earphones on the market and it's almost shocking to see how good the Vega sound in a side by side comparison. There is a more natural presentation overall but the bass is what sets them apart the most. In the past, I have praised the bass of the SE846 and that still stands but the Vega hits in a way that has a more realistic impact. 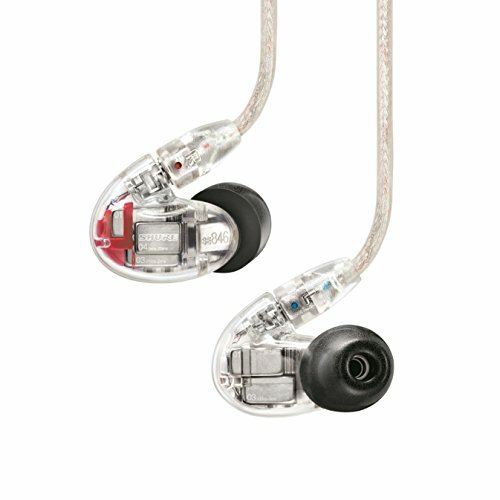 The Andromeda is another fantastic set of IEM's it's highly detailed and super detailed. 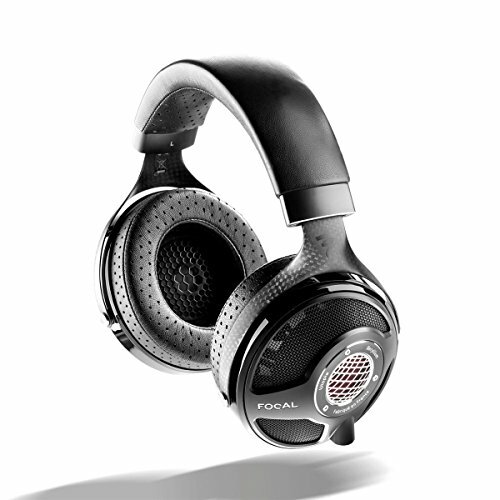 Highs are a touch more forward on the Andromeda and the midrange just slightly further back. The low end yet again is where I prefer the Vega but this will be purely down to user preference. The Andromeda put forward more of that balanced armature bass as you would expect. If you prefer a more balanced sound than the Andromeda is a good choice but if you like a bit more musicality and a ton more impact than the Vega will be better. The Vega is also far smaller than the Andromeda, a consequence of using a small dynamic driver vs a multiple BA setup. Therefore those with small ears will find the Vega to be the most comfortable of the 2 earphones. The UERM and Etymotic ER4SR are what I use for critical listening, which admittedly is less and less these days. There's no real point in making a comparison here as both are clinically visceral in revealing detail and accuracy but lack the intimacy and warmth. I was asked recently to make weigh these 2 IEM's up against the Vega but as such these are completely different earphones made for completely different purposes and to make any comparisons would be somewhat pointless. For me? Not a thing. I know I have to retain some sort of objective viewpoint but from a personal standpoint, these are nearing perfection. The tuning is right to my liking, the build is faultless and they are extremely comfortable. That said this won't be the earphones for critical listeners, the bump in warmth and hard hitting bass are the world away from something like the Etymotic ER4SR or my UERM from Ultimate Ears. If you're looking for a neutral, analytical beast then look elsewhere. Then, of course, there is the price. $1299 is an eye-watering amount to pay for a set of earphones by anyone's standards but that seems to be the way this hobby is going. Campfire Audio are by all definitions a small company when you take into account the costs that must be involved in producing earphones to this standard you can't really grumble. After all, they have developed a new custom driver, a new housing, and new MMCX build. There are a lot of costs involved here and all this has been done without the massive research, development and marketing budgets that the likes of Shure, Westone and Sennheiser have at their disposal. Campfire Audio have managed to hit another home run with the introduction of the Vega. In case you didn't already notice I have been hugely impressed with this new model. Just like my opinion of the Lyra, my main reason for speaking so highly comes down to the tuning. The Vega brings out musicality and intimacy, the mids sing, the bass thumps the highs sparkle, it's tremendously well put together. I know from speaking with CA in the past that Ken and Co take a whole lot of pride out of the way they tune their earphones. It really shows here, its very fun to listen to and produces the kind of sound which makes you enjoy your music rather than analyze it. The changes to the housing via the introduction of their liquid metal alloy has matched or even surpassed the robustness of previous models and at the same time, they rounded the edges which on top of an already excellent ergonomic design further increases comfort. The Vega may be expensive but if this if I was shopping for a set of earphones priced between $1000-$1500 these have to be right at the top of my list. So many aspects come together perfectly to create one of the world's best universal earphones.